First, we make some custard. Warm milk and cream with sugar and vanilla in a large saucepan over medium heat, whisking until the sugar dissolves and the milk is barely simmering. Yes, even though marshmallows are basically made of pure sugar, you do need to add a bit of extra sugar to the custard. It’s not much! Just trust me. Meanwhile, separate 5 eggs, saving the whites for a different purpose (maybe coconut macaroons!) and depositing the yolks in a large bowl. Temper the egg yolks. This means we add the hot liquid to the yolks in a tiny drizzle, while whisking constantly, so that the yolks get used to being warm and don’t immediately cook and harden. I always add all of the liquid to the yolks, then it’s safe to transfer the whole custard base back to the saucepan and set it back on the heat. 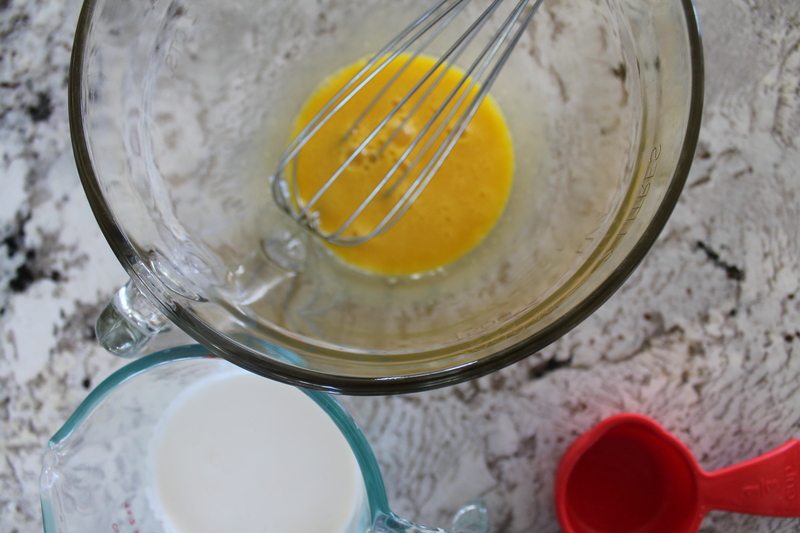 Pour the custard into a blender, through a strainer to catch any wayward bits of egg yolk that cooked through. At this point, we are ready to toast some marshmallows! You can do this in the broiler, but make sure you keep a close eye on it! Marshmallows can go from white to black in a few seconds. Immediately scrape the marshmallows into the blender with the custard. When the marshmallow custard is uniform (or, let’s get real: there will probably be some toasty marshmallow bits floating around in it), pour it into a large bowl and lay a sheet of plastic wrap against its surface, to prevent it growing a skin as it cools down. Chill the custard or 2 hours, or until completely cool. After churning the ice cream, transfer it to a wide, shallow container with an airtight lid, and freeze for 3–4 hours before scooping. 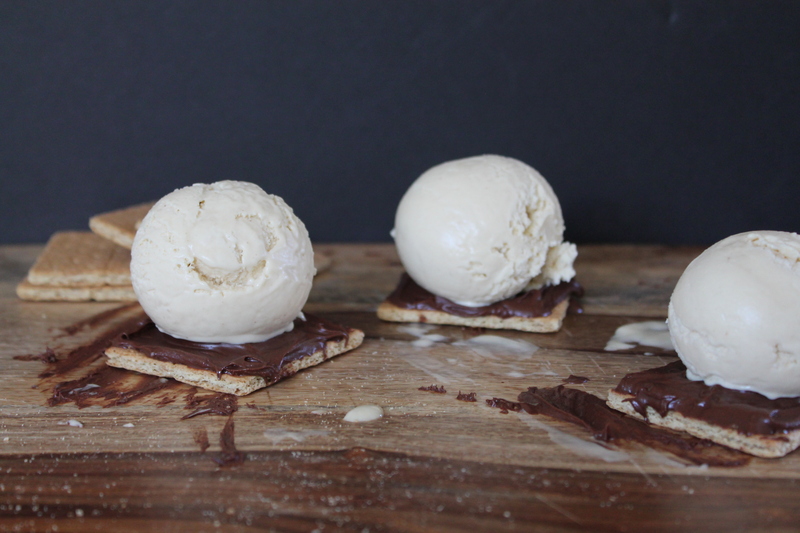 And here is the most excellent serving suggestion: scoop the toasted marshmallow ice cream onto a half a graham cracker. 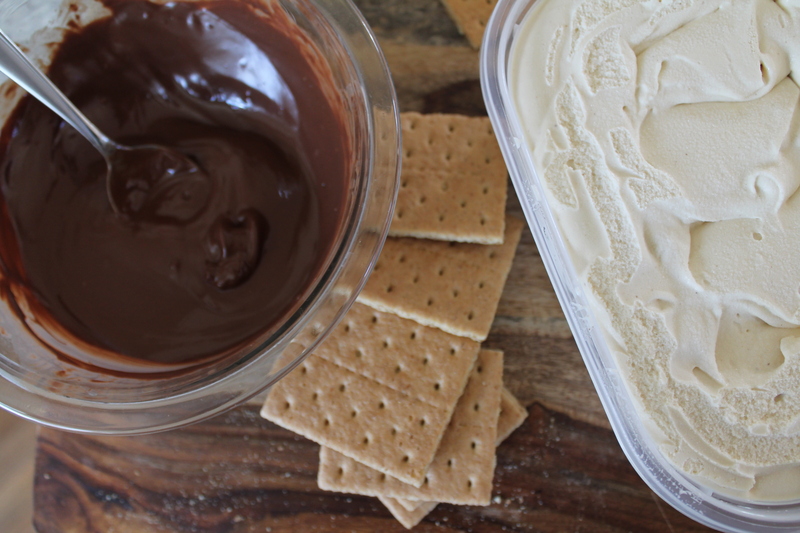 Pour magic shell or scoop melted chocolate over the ice cream. Top with the second half of the graham cracker. 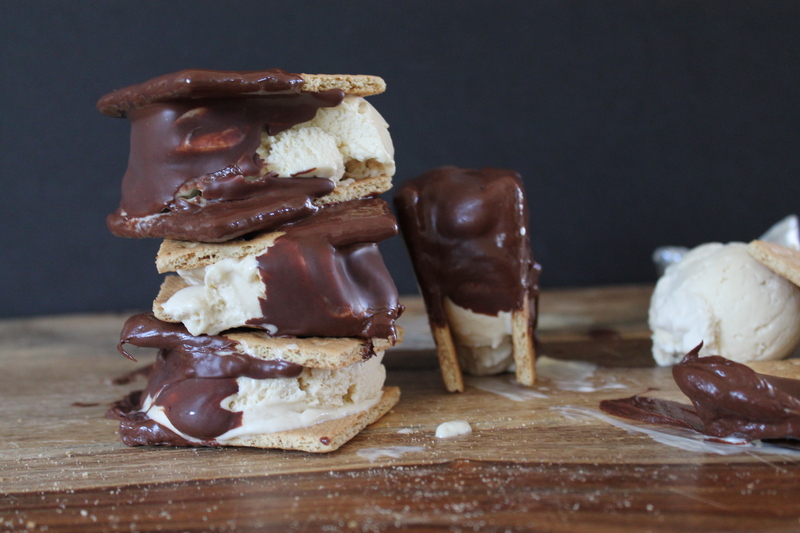 Ice cream s’more! Yum! Combine the milk, cream, vanilla, sugar, and salt in a large saucepan over medium heat. Whisking regularly, warm through until the sugar dissolves completely and the milk barely begins to steam. Place the egg yolks in a large bowl. Whisk the yolks to combine. Slowly begin to temper the eggs by drizzling the hot milk into the bowl with the yolks, whisking constantly to prevent the yolks from cooking. After drizzling all of the liquid into the bowl with the yolks, transfer the whole mixture back to the saucepan and return to medium heat. 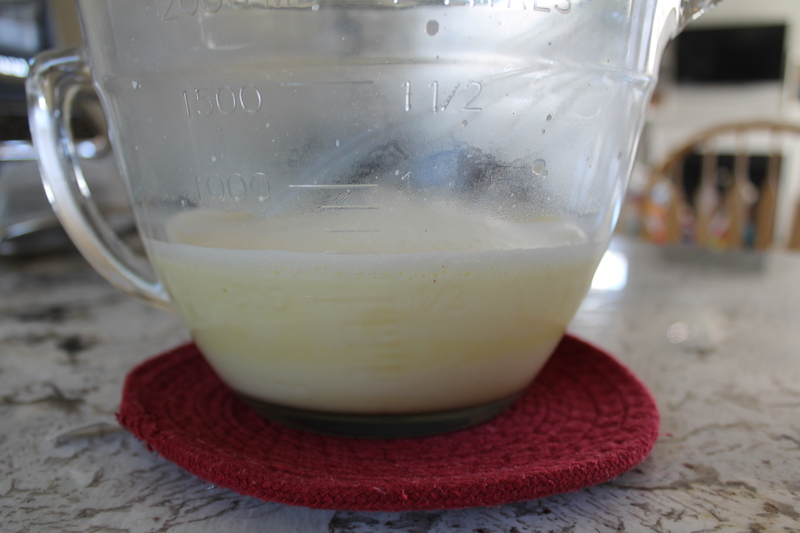 Stir the custard constantly until it thickens enough to coat the back of a spoon. Remove from the heat and pour through a fine mesh strainer into a blender. Heat the broiler. 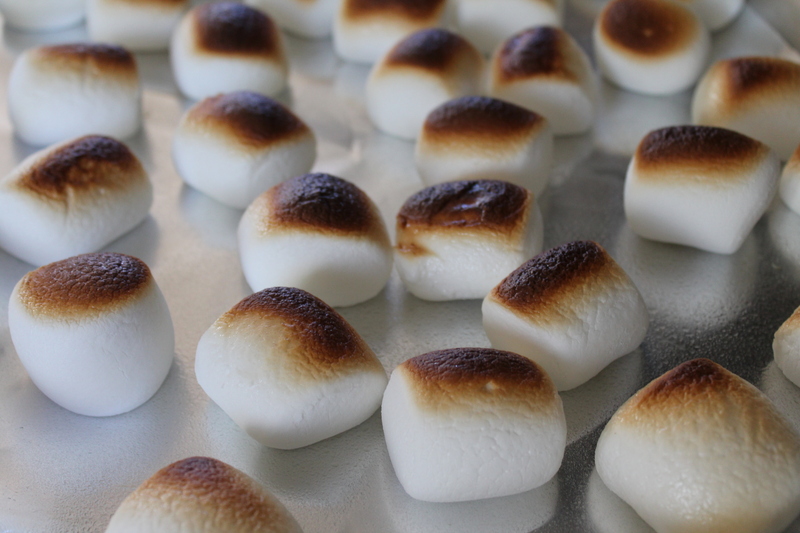 Place the marshmallows in a single layer on a foil-lined cookie sheet. Broil for 2–4 minutes, watching closely the entire time. When the marshmallows swell and turn a medium brown on top, immediately pull them out from the broiler. 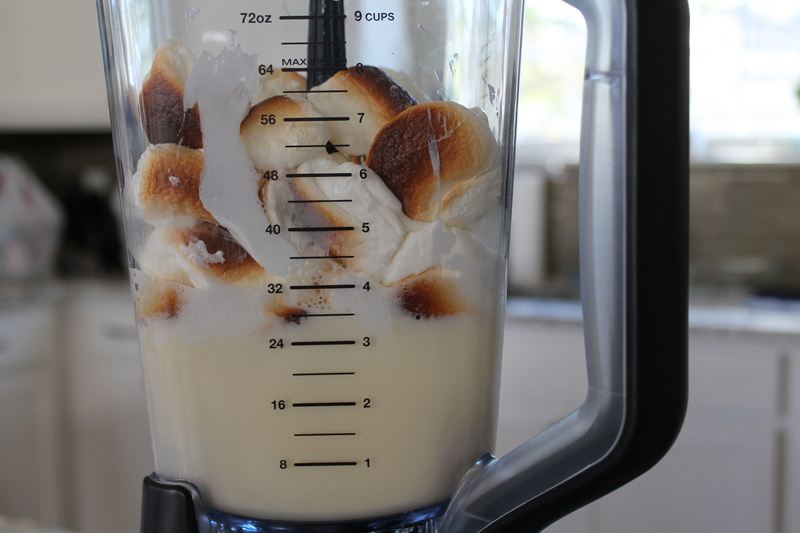 Scrape the marshmallows into the blender with the custard. Blend well to combine. Transfer the marshmallow custard to a large bowl and lay a sheet of plastic wrap against the warm surface. Chill in the refrigerator for 2 hours, or until completely cool. 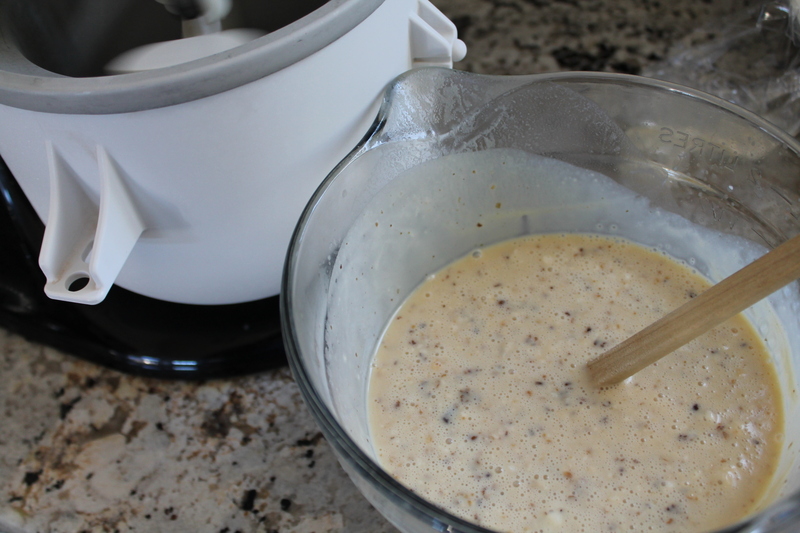 When ready, pour chilled mixture into an ice cream maker. Churn according to manufacturer’s instructions. Transfer the mixture to a wide, shallow, airtight container and chill in the freezer until ready to serve. 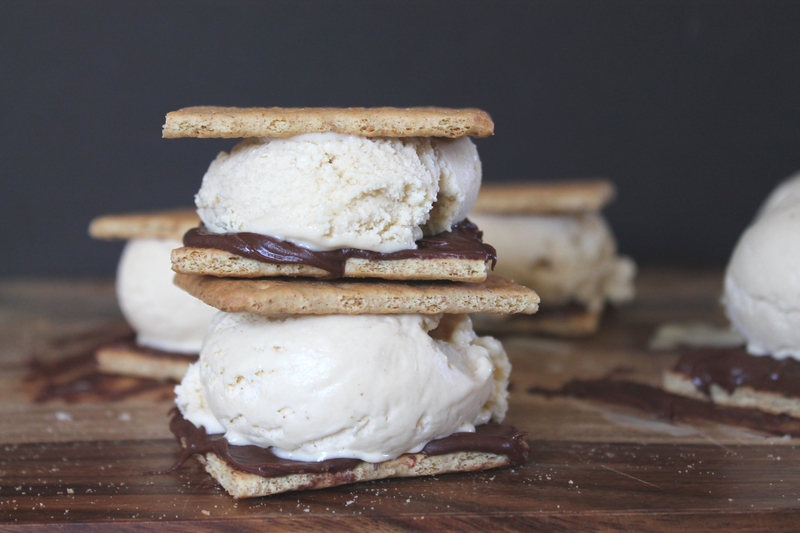 Serve with graham crackers and chocolate for a s’mores-flavored ice cream treat!